To the Lusko’s. 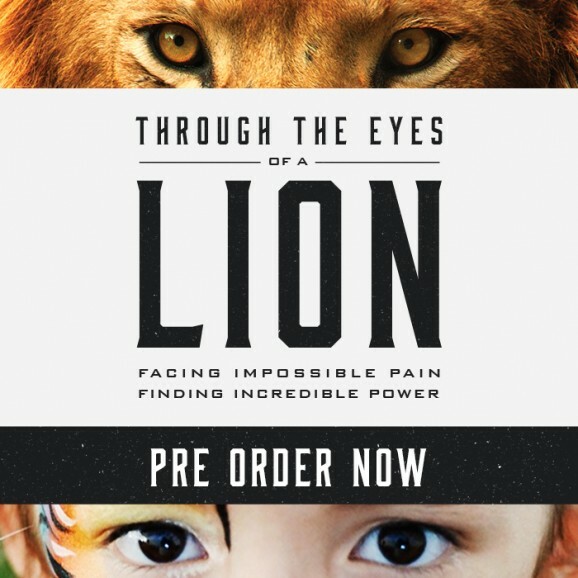 I received Through the Eyes of a Lion today after waiting eagerly for weeks. I cant even remember how I found it but I havent felt so strongly to get a copy of a book since I first got saved almost 10yrs ago. Definately God ordained. I almost lost my son to suicide 4yrs ago. To be honest, and I think this is the first time I have said it out loud, a part of me died too. It may sound strange and senseless because he is still with us. However, life before and after has been anything but pain free. I cant begin to imagine what it must have been like for you to say goodbye to your precious Lenya, even if it is only for now, and I would never compare the two. However, I would love to thank you for sharing your pain and grief with so much unselfish transparency. I started reading your book only a few hours ago and have almost finished. I cant put it down. Its as though each word I read, each sentence I digest, each paragraph that forms gives me hope! The path for my son is uncertain, although he is on the way to receiving the long term help he needs but I now face it with renewed anchored hope rather than dread and despair. Oh death where is your sting? Indeed! !